Our range pastured hens get to breathe fresh, clean air and enjoy plenty of sunlight daily, only spending nights in their egg mobile. Each day their diet consists of a super nutrient rich intake of a diverse diet of forage, bugs, seeds and grains. This diet is not only incredibly healthy for them, but is transferred to their eggs for your family to enjoy. 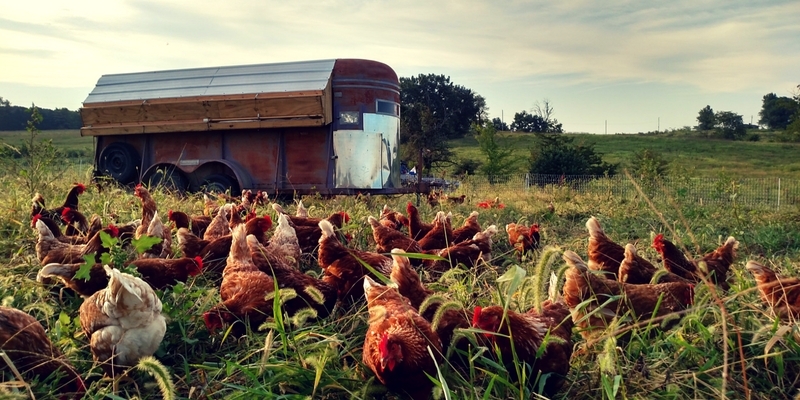 The hens are moved routinely in their egg mobile to graze in the fields after the cows sanitizing, debugging, and fertilizing the fields along the way- a job they simply love to do. Compared to the USDA standard egg. Want to nourish your family with these incredible eggs? Check out our Products page to order.